Forget which stores earn for your team? Max can help with that. 2. 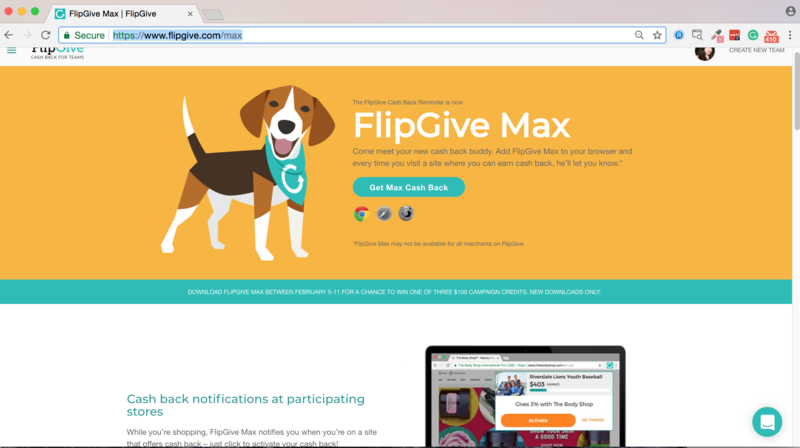 Click "Get Max Cash Back"
After you click "Get Max Cash Back" you'll be prompted to add FlipGive Max to your browser. Click add, and your cash back reminder is activated! 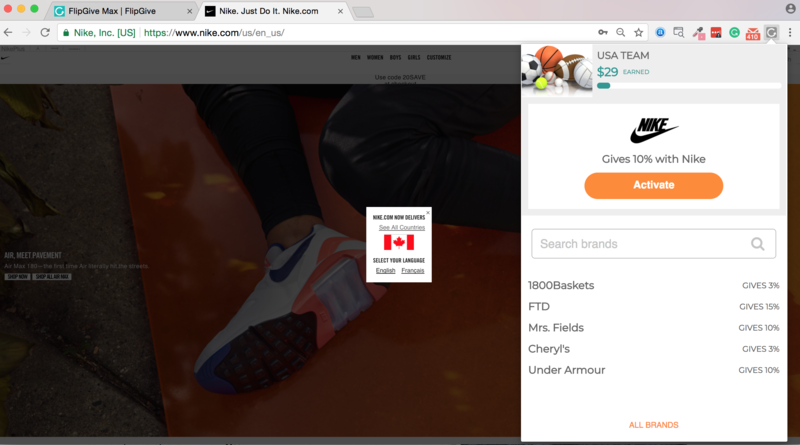 When you visit a site that earns for your team, you'll get a drop down prompting you to activate your cash back. 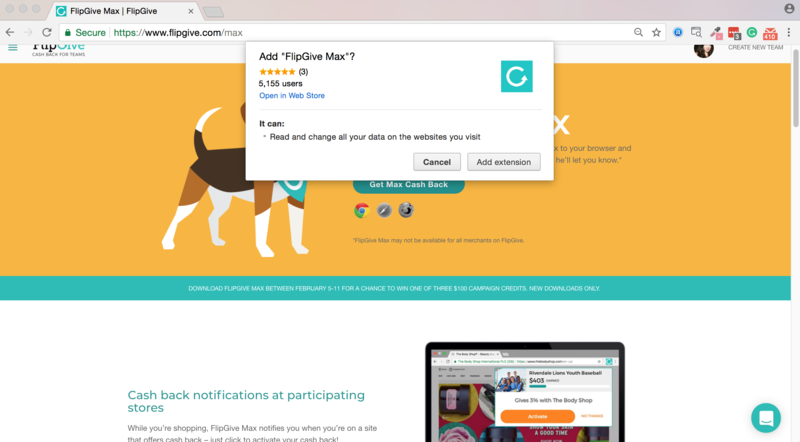 Simply click "Activate" to earn cash back. Once you receive the activated message, you're all set to earn cash back! Shop as usual, and everything you buy will earn cash back for your team.